My mother has been making the yummiest moist zucchini bread for as long as I can remember. The name sounds like some health food bread meant for those that like to eat all things yucky. 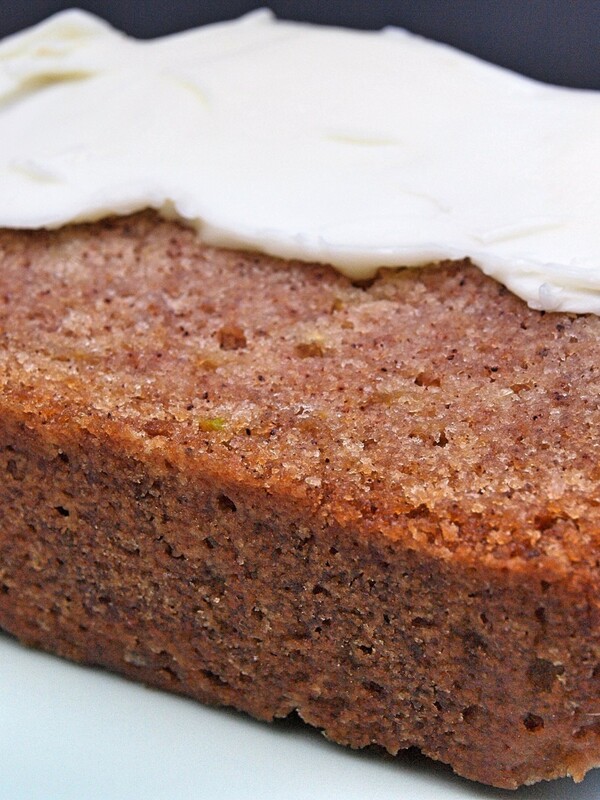 Zucchini bread, however, is nothing like what it sounds. It tastes like a dessert bread. 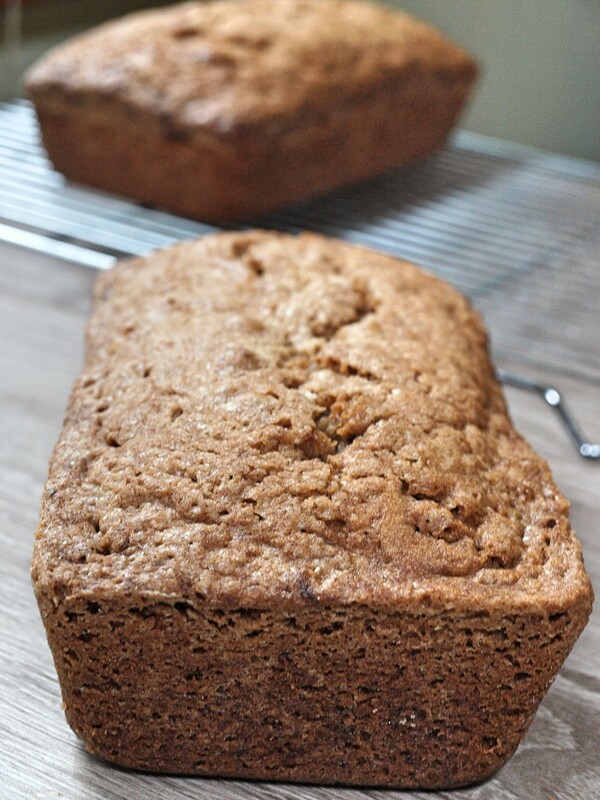 Think banana bread, only better! We used to have a garden where my mom grew her own zucchini but she and my dad no longer had time to manage the garden. Now she gets them from grandma. 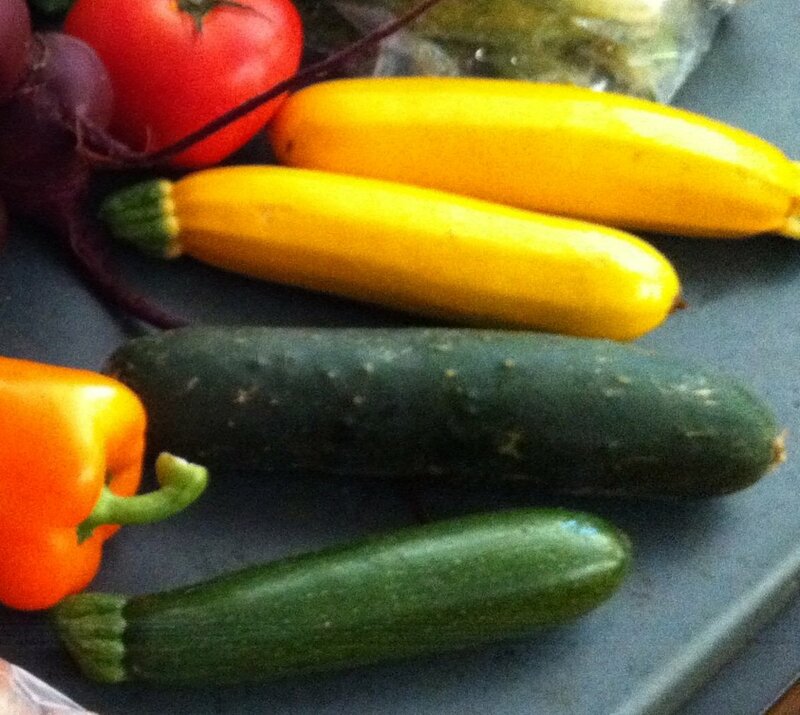 However, where the zucchini comes from is unimportant. Buying from a local farmer will get you the freshest ones, but really its the combination of ingredients that makes this one a favorite. I can't tell you how old this recipe is, but I can tell you that it's written in a notebook that is older than I am. I can also say that until someone copies and pastes this as their own, you won't find it anywhere else. 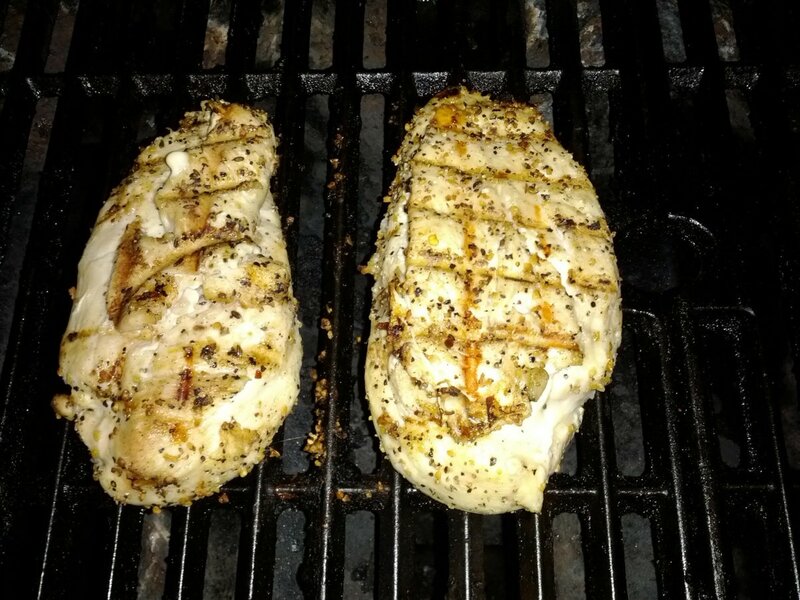 My mom gets many compliments on it, and I'm happy to share the recipe here. Note: Original posting edited to reduce the amount of oil. Feel free to substitute in applesauce for some of the oil. Readers have left helpful comments on their experiences. 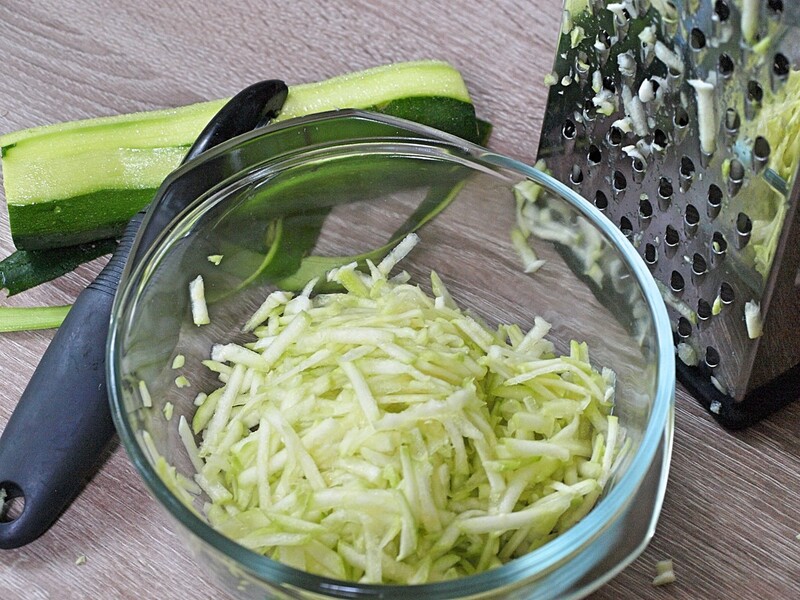 Use a potato peeler to remove outer layer of zucchini, then cut into 1-inch chunks for grating. Use a food processor to grate into small slivers. Add grated zucchini and all other ingredients into a bowl. Use a mixer until well blended. 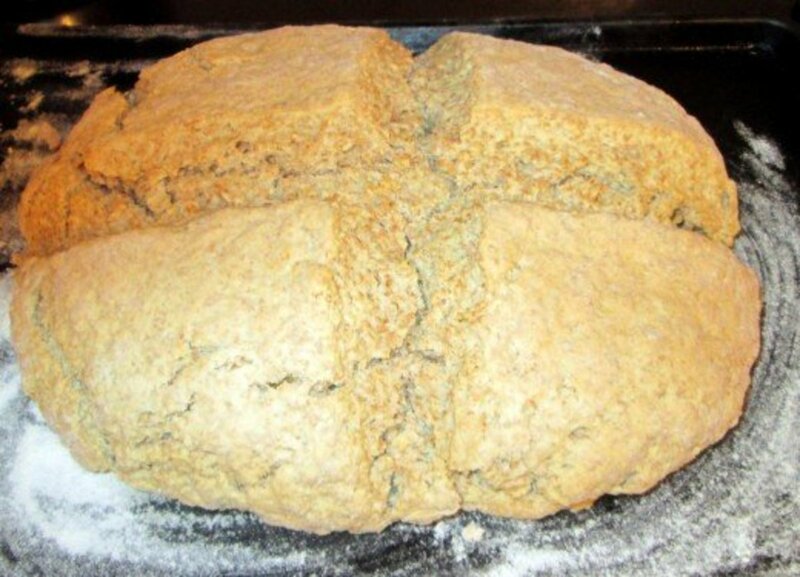 Pour into greased and floured bread pan. Bake about an hour at 350 degrees. Use a toothpick to determine if bread is fully cooked. Remove from oven. Once cooled, flip bread onto saran wrap to finish cooling. Whipped or softened unsalted butter makes the best topping. Do not spread on until ready to eat. Shredded zucchini ready to be mixed with other ingredients. Standing mixer with all bread ingredients. Let cool afterwards on wire rack. Step 4. Spread with Butter and Enjoy! Room temp or whipped butter makes an excellent topping. 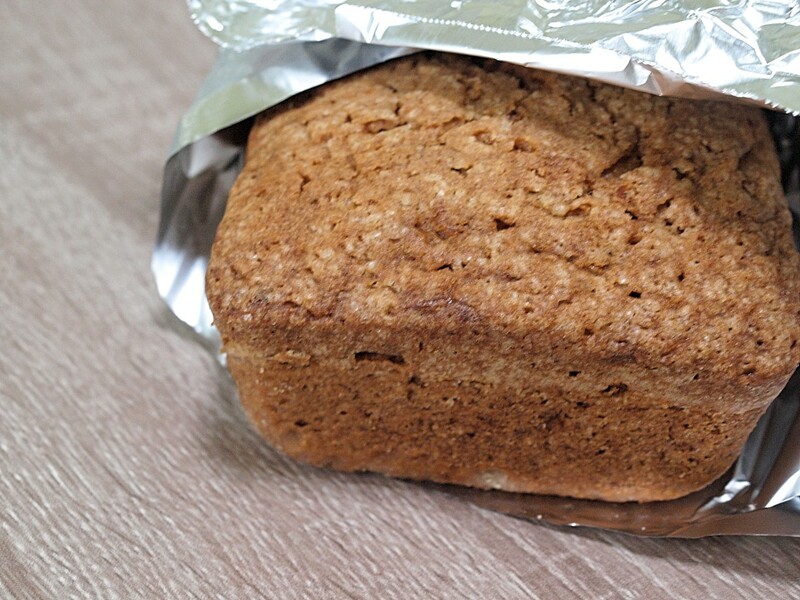 When bread is fully cooled, wrap in foil if eating within the week. Or place into food saver bags and seal. It can be frozen for up to six months. Do not leave out or place in a plastic bag. Always use foil if it will be eaten within the week, or food saver bags sealed for freezing. I don't know how some reviews say that their bread was "swimming in oil"....I just baked a loaf and it's perfect. I'm rather timid baking anything and usually opt to buying my pastries, breads ans cakes....but this recipe was easy to follow and returned the best results!! I wish I would have read these reviews before making this. I agree with the way too much oil. Wayyyy too much oil. 1 c would be fine. I substituted greek yogurt for the oil, however it's not a 1:1 conversion. It's 3/4 cups of Greek yogurt for every 1 cup of oil. Turned out awesome, everyone loved from my 5 yr. old to my coworkers. Making another 2 loaves tomorrow! For those saying they wish it were sweeter 1 bag if milk chocolate chips does the trick. I will certainly be trying your bread recipe. Thank you for sharing. 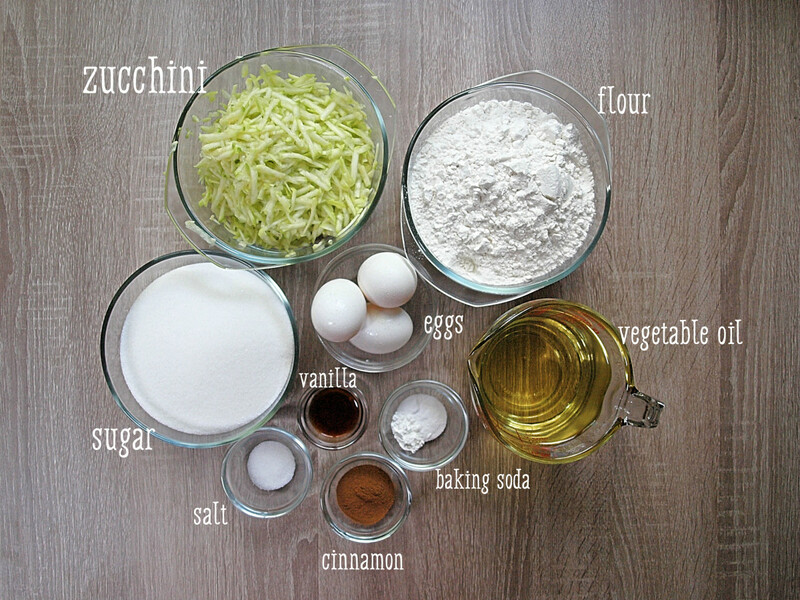 This is the only zucchini bread recipe I use. I’ve made 4 loaves in the past 2 days. I follow the recipe as written and mix very, very well with my stand mixer. I’ve never had a problem with the oil so the only thing I can think of is that mixing really well is key. 2 cups of oil is too much. I should have followed my gut and only gone with one. For those making this recipe, I have a few edits. I use a kitchen aide stand mixer. I put my eggs in first, then add my vanilla. Instead of using 2 cups of oil, I use 1 cup of oil & 1 stick of salted butter. I add in my butter & oil to the egg/vanilla mixture. I put my mixer on the 2nd notch, and I forget about it for a while (usually 3-5 minutes). With this recipe, you can use zucchini like it says OR you can use bananas :) . 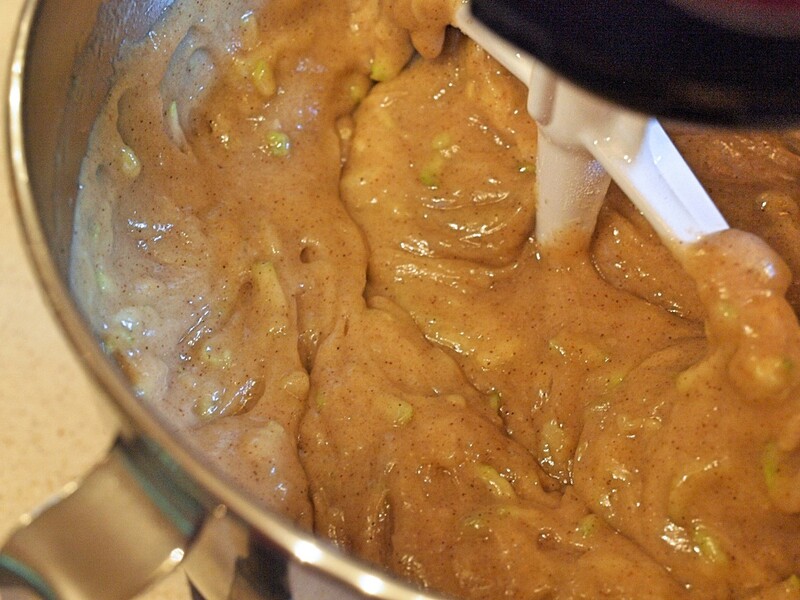 If I use bananas I make sure they have quite a few brown spots, and usually 4-5 of them ran through a food processor. I also use the food processor for the zucchini. Anyways. Add the bananas/succhini before you add the dry mix. 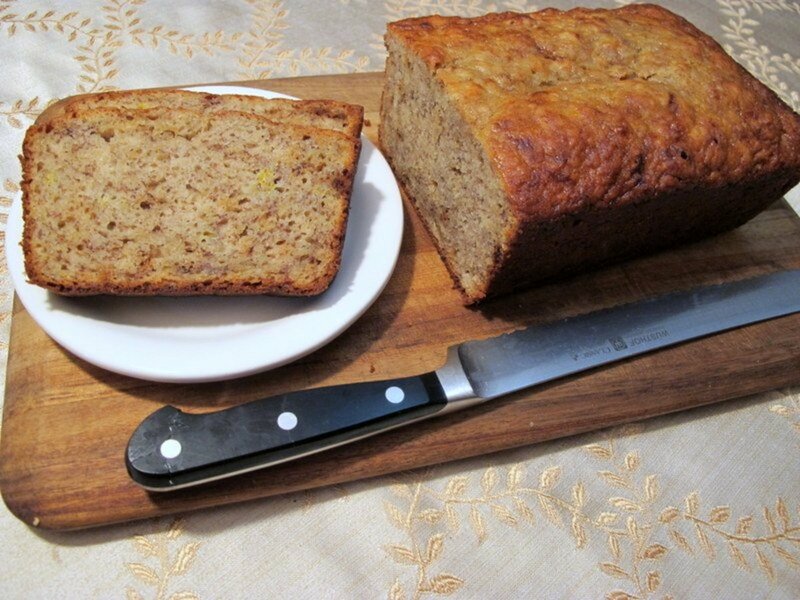 Do you have a banana bread recipe? It seems everyone has good reviews. I made 2 loaves and they both came out swimming in oil. Don’t know if the 2 cups of oil is in error or where I went wrong. Anyone tried these as muffins? Wondering cook time? Made 2 Loafs for tomorrow for Our Thanksgiving Dinner. It came out so moist and baked perfectly. I'm sure I will be making this again for Christmas Cookie Platters. Just made it and tried it with butter hot out of oven. Perfect with a cup of tea!!! I added just a dash more cinnamon and added a dash of gingerbread spice. I will make more and freeze it if my family doesn't eat it first!!! Thank your mother for a great recipe!! I made this yesterday, 7/30/17, and I love it. It's moist and taste fantastic. I took it to work and it didn't last very long. Thank you for sharing this amazing recipe. Very good, my husband loved it! I just made the bread and it is very moist. I cooked it for 65 minutes. I made 2 loaves, but I think I could have made 3 shorter loaves. I substituted 1 cup of oil with 1 cup of plain greek yogurt. No difference in flavor. The smell as it was cooking was wonderful. The bread tastes very good, but I do wish it was a little sweeter. I will definitely make this again. I was in a rush and was not paying attention to the fact that this recipe should be divided into two loaves! I poured it all into one glass loaf pan and put it in the oven before I realized my mistake. Has anyone make this mistake before?!?! Any suggestions on cooking time or temp? I'm sure it's too late now but maybe someone else will need your wisdom. I'll let you know how it turns out. Wish me luck! LOL!!! Try adding small can of crushed pineapple to this. You won't be sorry. 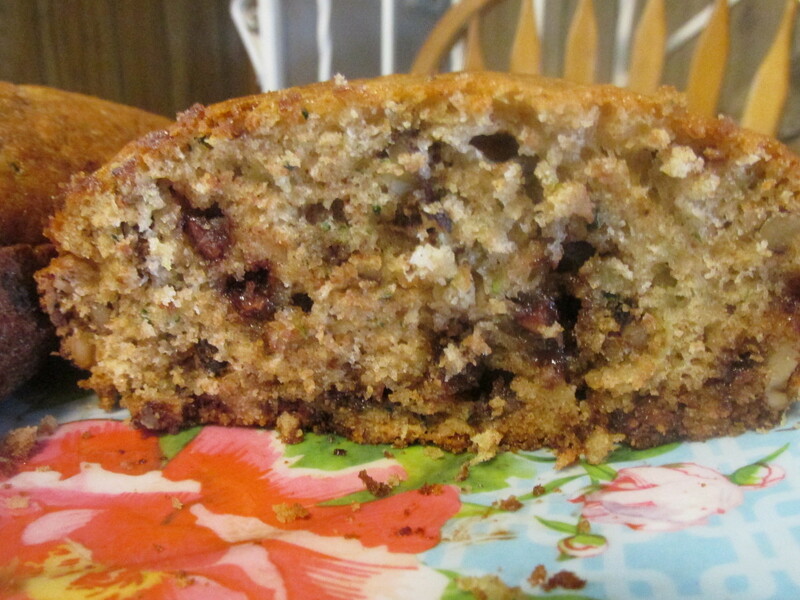 This recipe is DELICIOUS and I have made tons of zucchini bread and other breads and bake a lot. I live in New Mexico at the base of the Sandias where it's high altitude so I use a stock recipe the first time and then make changes the second time around. The oil is fine. Coconut oil makes the bread a tad bit greasier..i.e. You can see the napkin stained from the bread and the texture is changed a bit. Using real oil makes the bread richer. Only change I make is adding more cinnamon. Great recipe thanks! Family goes nuts for it around Easter, I make egg shaped loaves! And thanks for the foil tip!! 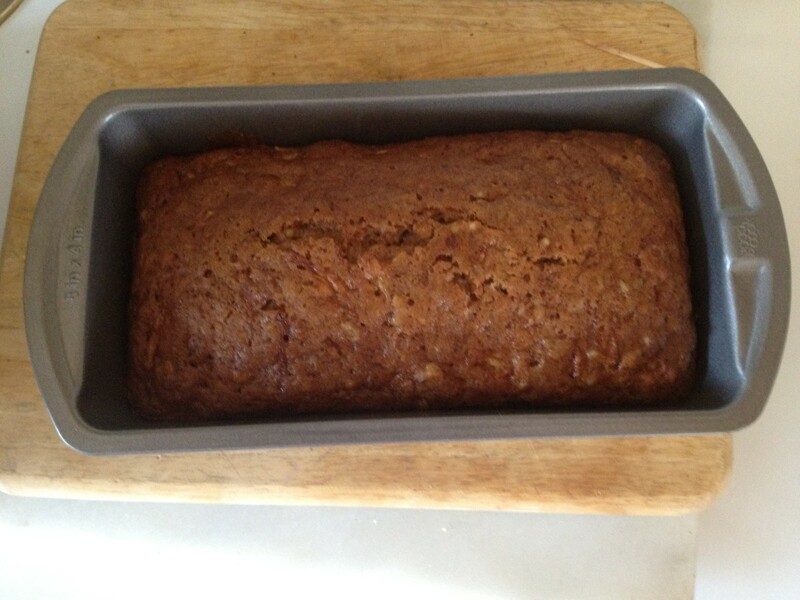 This is one of the best zucchini breads I have ever made. I cut down the sugar to 3/4 cup and add 1/2 cup chocolate chips. Not sure if the recipes says but i also add 1/2 cups of walnuts. We love it. Awesome recipe. I use the exact recipe and put my own twist to it. Freezes very also. Used this recipe last year with fresh zucchini & it turned out great. Now I'm using it again with frozen zucchini came out just as great. Made recipe as wrote and it made 8 = Mini loaves. Cooling & freezing for the holiday & winter! A must keep recipe. Thank You! Delicious! I used 1/2 oil 1/2 unsweetened applesauce....you'd never know the difference! I have had this recipe for years and everyone loves it. My neighbors little boy asked me for this for Christmas rather than a gift. Speaks volumes.. The recipe says to pour batter into the pan, it should say pans. Mine is in the oven now and taking forever to bake in the middle. I had to dump it into a 9×13 cake pan. Hopefully it will still taste good. I have made this recipe several times. 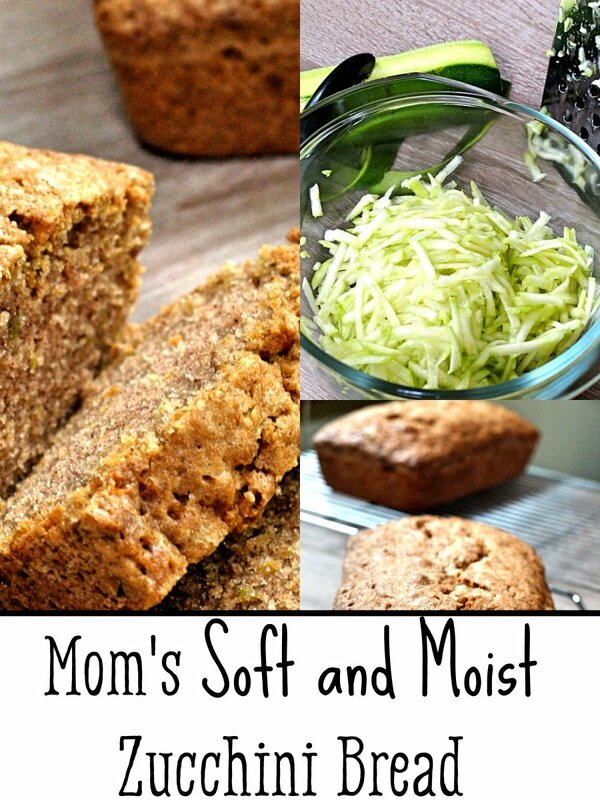 It is my go to for Zucchini bread- very good! Just made mine. I had a feeling to cut back on sugar and oil. I hope it comes out. Anyone use olive oil? Just wondering if that worked as well as regular oil? I am a bit confused. How many loaves does this make??? Has anyone ever used slivered almonds instead of pecans or walnuts? I don't have those but I do have almonds. In one loaf, I added chopped walnuts. This does alter the taste big-time, compared to the plain zucchini bread. It also gets a big boost of flavor with Duncan Hines cream cheese frosting, it is otherwise very plain on its own. Otherwise, happy with the moist consistency. Used 3\4 c unsw. Applesauce & 1 c oil. Could be a tad more sweeter, but better w/ frosting!! Have you tried to make your mom's recipe by yourself? I believe your mom's zucchini bread is the best around, but Just surprises me that someone can post a recipe, but never made it all by themself. Are you absolutely sure about the 2 cups oil? I tried it out for myself today, but used 1 c oil and 1 cup unsweetened applesauce. I'll know how it turns out in 45 minutes. So far, the batter tasted great, so hopefully that's a good sign the finished product will be even better. Hi again. Posted 3 days ago. Just sayin' ........ That recipe made 5 small loaves and one large. It's all gone! Making it again! I just did this lucious moist bread. When it was baking in my oven it smell so good. I use mini bread loaves. Plus I had enough for I more loaf. Thanks so much in sharing your mom recipe. My husband said its really moist. Love it! So does my husband. I used 1 cup oil and 1/2 cup apple sauce. Also 1 1/2 C. Sugar rather than 2 C. And.......I added chocolate chips to the recipe. It's wonderful. Also......try sprinkling sugar on top of the batter in each loaf pan before you bake it. It makes a nice sweet, textured top. So yes. Thank you for sharing!!! It's an amazing recipe, and fun to tweak it how you want! I made this last week and it was the best recipe that I have ever made. 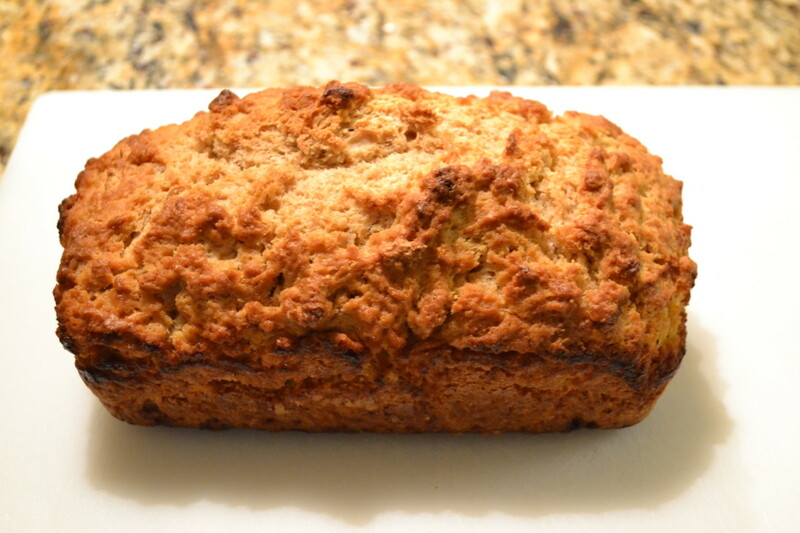 Do you happen to have a good banana bread recipe? LOVE....LOVE....LOVE it!!! The whole family thanks you!!! I have mine in the oven right now. It smells amazing and I can't wait to try this. Thank you so much for sharing! Thank you for sharing your mother's recipe with us. omg the oil is so overpowering???? if you've ever had sautéed zucchini, that's what the first loaf tasted like. weird! and flat and hardly brown. hopeful for the second loaf but not expecting much. what a waste of ingredients. I have almost the same recipe. I only use 1 cup of oil and 1 2/3 cup white sugar 1/3 Brown sugar. Great bread! Loaves took less than 45min to cook. Have made this before and making it now... So good. Thanx for sharing! I followed the reciepe and mine didn't turn out brown, it was more of whitish color. Ithe was kind of bland as well. I also doubled the recipe and cut the oil by 2 cups. I added Chia seed and it was awesome. Going to make this for a second time, as the first time, the breads were both eaten in a couple days! Very moist and delicious! Many older recipes use a lot more oil than we do, but I went ahead with the original recipe and didn't regret it. Enjoy! I followed the recipe and made muffins instead, personally I thought they were bland and tasteless. They smelled good baking kids thought I made oatmeal cookies. Disappointed sorry. I just used a cheese grater for the zucchini and it turned out awesome! Suggestions on how to grate the zucchini if you don't have a food processor. Similar to one we used back in my childhood. Since I'm watching carbs, will substitute 1 cup of oil for 1 cup of applesauce. Also we didn't peel the zucchini, didn't want to losee all those nutrients. Will have to make some soon. This is great for my restaurant because the bread doesn't dry out. I was looking for a different recipe than the one I have from my mother. Turns out your recipe is the same as my mothers except hers is 1 cup oil!! I also add crushed pineapple (drained). I guess I'll stick with this one!! I wondered if anyone used coconut oil. Why such concern with the amount of oil. I'm thinking of making this and sounds like it has turned out great using the exact recipe... Should I try this recipe? Cream cheese frosting is SO good on it. I have also whipped butter and cream cheese together and used for a sread. SO good! gonna try today, will it be dry if I add less oil? Update...the bread didn't only come out perfect, but it TASTES fabulous too! I'm stoked, will be using this again and again. Just pulled these out of the oven, they are perfect. I usually don't have much luck baking breads...overdone and dry. The only thing I did different was bake at 325 since I had dark pans. Baked for approx 1 hour and 10 minutes. Thanks for sharing! Made these today, I did cut back the oil (1 1/4 cups, I can't take to much oil) I just want to thank you for the recipe. I always want recipes used by our mothers and grandmothers, and if they don't turn out I know it is not the recipe but the way I made it. I only wish people would realize you do not have to share, you do it out of the goodness of your heart. I hope they learn to appreciate your kindness, if they don't want that much oil cut back! As for how long to bake, I made 3 different size pans, small (I call them personal size) , Medium (aluminum regular) Large (the larger size metal or glass) Small 46 minutes, medium and large 65 minutes, this will also depend on your stove, hope this helps. It sounds much like my zucchini recipe. Only 1 cup oil and less sugar. I also add a little cloves to the mix. And yes I make 6 loves at a time too. I usually make about 24 loves. Easy to take out when unexpected company arrives. The oil is not a big deal, it turns out great! I have also used apple sauce instead which also is yummy. I baked 6 loaves today with zucchini fresh from my garden. My family loves it! This recipe made it into my recipe box! Thanks so much. How long does it bake, I just put in the oven. I use this recipe every time.. I made it for my father and he said it reminds him of his mother's. That's a compliment, because she is deceased and I always wanted her recipe. Thank you for sharing! Made this last night and it was delicious! Didn't realize it made two batches but was happy there was lots to go around. Thanks for the recipe!